The Detective Project offers fun, forensic science-based events that explore the way in which crime is investigated in the 21st Century. 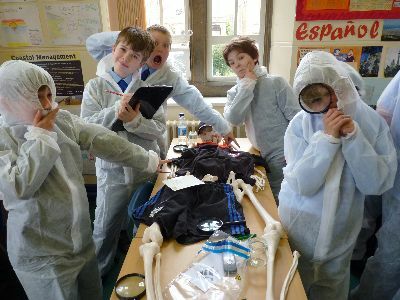 The brainchild of ex - police detective, Jenny Williams, The Detective Project's award winning events are based on real forensic investigation techniques and are fantastic for kids and grown-ups alike. 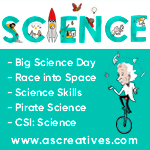 Our events help children of all ages from reception to A Level get a buzz from playing detective, whilst developing their vital science skills in fun and interactive ways. Learning objectives are aligned to national curriculum specifications in Science, Chemistry and Biology and are age and ability specific. 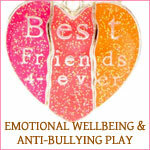 Workshops will be designed to match your exact requirements, whether Key stage 2 or A level. In addition, the workshops encourage cross curricular study and attainments, and are especially suited to gifted and talented and stretch and challenge programmes. Many schools have found our workshops a stimulating event for the Year 6 outreach and transition week. Our Detective Clubs are the perfect extra-curricular activity and offer a series of self contained weekly workshops during term time. 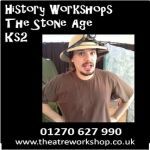 We also run holiday clubs for schools and other clubs. Cub Scout and Brownie groups love us! The Detective Project workshops focus on helping children build core skills in the school curriculum but also help children with their everyday skill development. 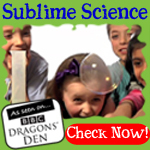 We see ourselves as the perfect complement to the science curriculum and as helping children develop their confidence and wider skills such as leadership and team building. We can present a FREE assembly session to all schools. If you are interested in exploring this further, please get in touch. We currently have presenters based in Essex, Sussex, Wessex, Harrogate and Bristol. We like road trips so can travel to events elsewhere. Full details and testimonials are available on the website, www.thedetectiveproject.co.uk.